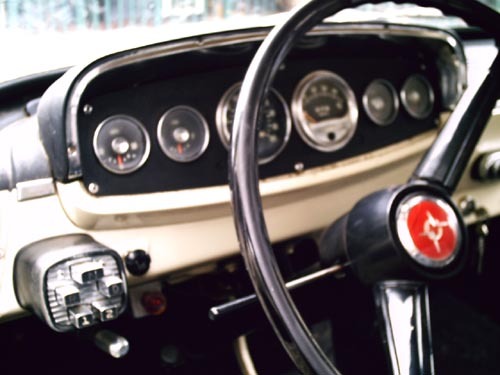 "This has the 318 /push button loadflite,HD dash(with SUN tach),anti-spin diff. 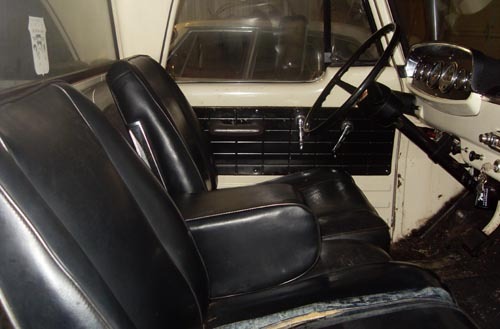 ,am radio,dual arm rests,dual visors,power steering,variable speed wipers , bucket seats(recovered at some point) and a buddy seat/arm rest in place of the console. all the carpeting is still in place. 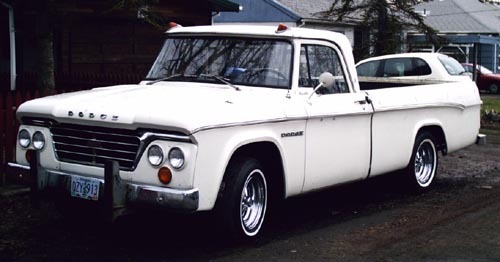 I have the original sales paperwork from the dealership in Oregon, where it was sold as a demo (w/1200 miles on it) The HD rear bumper,cab marker lights, and the side mirrors were dealer installed at the time of purchase(May 7, 1965)...One question I had is,would the buddy seat/armrest possibly have been substituted in place of the jocky box console from the factory? 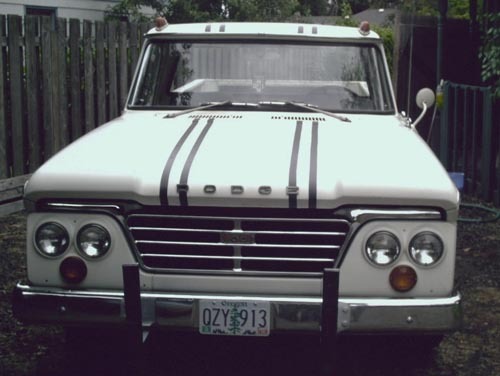 By the way, this is a 56000 original mile ,One owner(before me) garage kept survivor !!! The rubber door weather stripping is still like new. 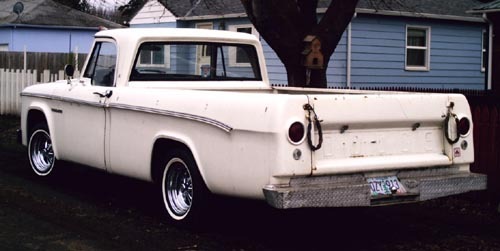 It was owned by a truck and auto repair shop here in Salem,Oregon since new, until the gentleman passed away in 2002, and has been in storage until a month ago when I bought it. Apparently this was ordered stripe delete, but I am going to put the stripes on it, just because they look so cool !! 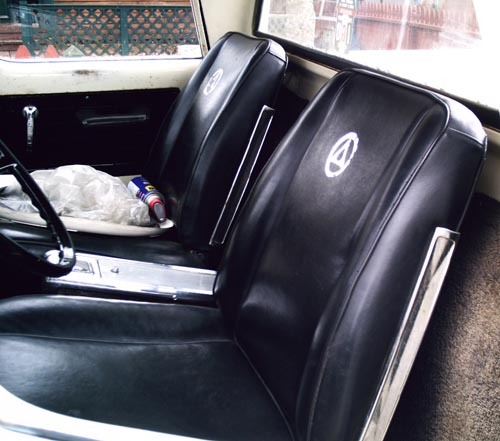 Do you know if the stripes were painted on, or were they vinyl tape? Do you know if they came std. with 14" wheels? mine has 15" wheels and different dog dish hubcaps, also I noticed that 'wheels' was one of the special eq. listed on the sert tag...."
Registry Notes: the VIN is a late 1964 sequence number and truck was probably titled as a 1965. the starting sequence number for 65 trucks is 430000. there are no 1965 trucks with 4 headlights that would have the push button transmission - this truck has a push button transmission.